First things first. Do not say anything against Tendulkar. You should also remember that Tendulkar is not the captain of Mumbai Indians, Bhajji is. Even if you feel that Tendulkar has been asked by Nita bhabhi to hand over the captaincy in view of Bhajji winning the Champions League Trophy, then please remain quiet. Sachin will up the ante during the match whereas Bhajji, as pointed out on Twitter, will up the aunty after the match. 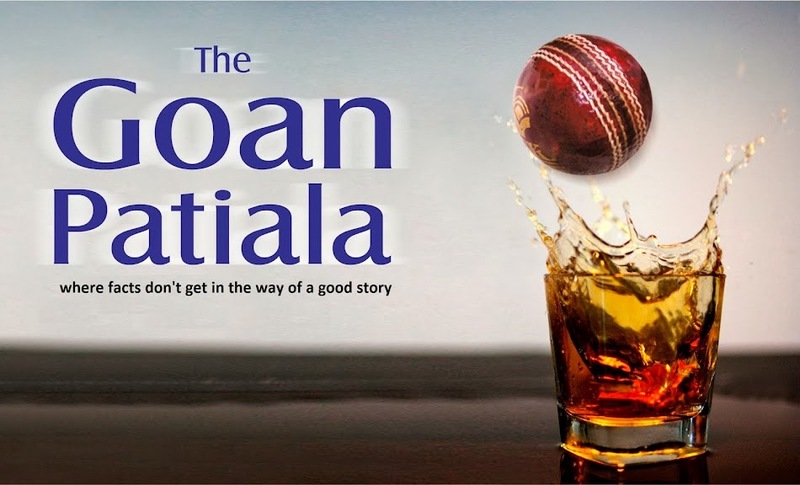 If you see a bowler walking up to the bowling mark like the coolies who went to collect their daily wages in the blockbuster "Deewar", then make no mistake, that is Munaf Patel of the Mumbai Indians. It requires only 17 muscles to smile and 43 to frown and years back Munaf couldn't identify those 17. After being coached by none other than Jonty Rhodes, Munaf flexed his biceps to compel the umpires to refer a decision against Sangakara upstairs and his behaviour in this IPL has been such that noone misses Sreesanth. Munaf has been paying the price for this – literally. The other day Sehwag asked him how he was and he said "I am fined". Contrary to rumours, the Volkswagen Vento you see on TV will be awarded to the most valuable player of the year and not for the person who can make Dale Steyn smile. Brad Hogg and Brad Hodge have not been created as a result of spelling mistakes, but are two different cricketers, both playing for the Rajasthan Royals. Robin Utthappa of Pune warriors is the only wicketkeeper in the IPL who hides his wicket-keeping pads inside his trousers. Don’t be confused when you see Kumar Sangakara in a similar fashion - it only means he has entrusted his job to Parthiv Patel so that he can be near Daniel Christian when he bowls the last over. Ashish Nehra on the other hand makes no effort at concealing his toothy grin. That the Pune Warriors had their teething problems with Nehra against the Royal Challengers, is altogether a different story. Irfan Pathan and Yousuf Pathan play for Delhi and Kolkata respectively and there isn't a Reliance type situation between the two brothers. There is a third Pathan as well - Asad - who plays for RCB. It may be illegal to drink and drive in Pune, but with Jesse Ryder its different. He can drink and cover drive. And his favourite shot is not the tequila. Four important winners for Kings XI Punjab are Gilchrist, Shaun Marsh and Preity Zinta's dimples. The person you see running to hug the gorgeous gal when others win matches for Punjab is Piyush Chawla. The ammunition which the Kolkata Knight Riders have is amazing - McCullum, Gambhir, Pathan, Bisla, Kallis. The only problem is that this ammunition blows into Shah Rukh Khan's face. Its....DIZZA PEE....means Danny Morrison shouting from the commentary box "the ball has disappeared". And if you have mastered that you must be a fool not to understand that "Its a Kharrrrrbbbbkhhhmmmmaalcash" means "Its a Karbon Kamaal Catch" in Danny Morrison’s orgasmic style. "Free Hit" refers to an extra delivery the batsman gets after the bowler bowls a 'no ball’ and has nothing to do with Shah Rukh Khan slapping Shirish Kunder. Chris Gayle's six broke the nose of a young spectator in the stand. That does not mean Gayle will do a "nose job" on his fellow teammate Cheteshwar Pujara which is long overdue. 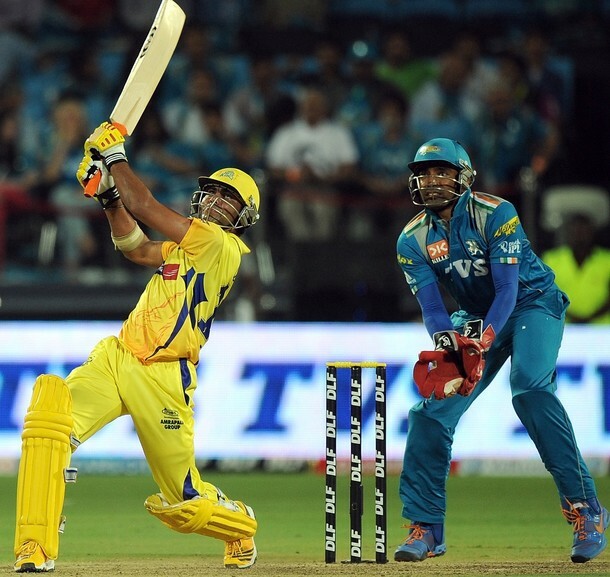 The midwicket stand is the most dangerous place to sit for a spectator when Suresh Raina bats. If Sehwag is batting, then no place in the stadium is safe. DLF Maximum is a term used in IPL for every six that is hit and the IPL sponsors DLF love it when Piyush Chawla bowls. Spectators are requested to carry their own helmets in the stadium when Piyush Chawla bowls as the ball is likely to land in the stands most of the times. For the same reason its dangerous to park your cars in the stadium parking lot. For the same reason, Chawla and Nehra are likely to be named as brand ambassadors for DLF. Any ongoing cricket match is a disturbance between the two Strategic time outs for the people sitting in the VIP lounges.